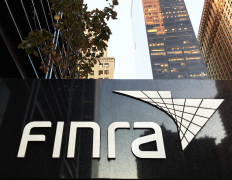 The US Financial Industry Regulatory Authority (Finra) has fined UBS Financial Services (UBSFS) $4.5 million and UBS Securities (UBSS) $500,000 for failing to establish and implement anti-money laundering (AML) programmes to monitor certain high-risk transactions in customer accounts. The high-risk transactions included foreign currency wire transfers at UBSFS, and transactions in low-priced equity securities, or “penny stocks,” at UBSS. In addition, the Securities and Exchange Commission (SEC) and the Financial Crimes Enforcement Network (FinCEN), a bureau of the United States Department of the Treasury, also announced that UBSFS has agreed to pay a $5 million penalty to each of these agencies in separate actions for AML violations. FINRA found that, from January 2004 to April 2017, UBSFS processed thousands of foreign currency wires for billions of dollars, without sufficient oversight. UBSFS’s AML surveillance systems failed to reasonably monitor billions of dollars in foreign currency wires flowing through customer accounts, including hundreds of millions of dollars in foreign currency wires to and from countries known to be at high risk for money-laundering. For example, for foreign currency wires to and from certain accounts, UBSFS’s AML surveillance systems did not capture the number and identity of customers, the number and dollar value of the transfers, whether the transfers involved third parties and whether the transfers involved countries known for money-laundering risk. UBSFS’s failure to monitor these high-risk transactions went undetected for more than eight years until discovered in 2012, and the firm failed to implement a reasonable system until April 2017. UBS is also in trouble with the US Department of Justice due the mis-selling of complex financial products that contributed to the 2008 financial crash. On top of that, last month Switzerland’s Competition Commission opened an investigation against several Swiss financial institutions – including UBS – over an alleged boycott of mobile payment solutions by providers such as Apple Pay and Samsung Pay.